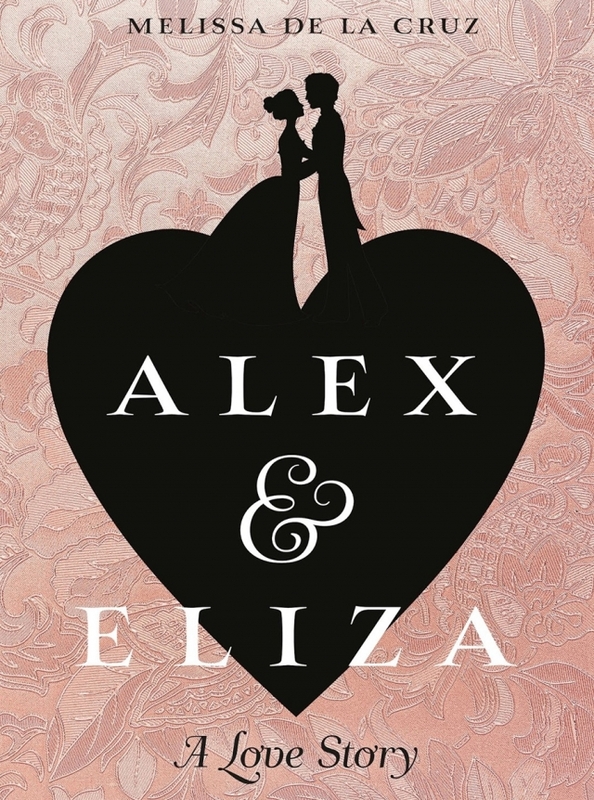 Overall I thoroughly enjoyed reading 'Alex and Eliza' as I have always loved reading a good historical fiction/romance. Whilst the ending was predictable, in my opinion, it made the story even better as we as readers listen to the characters deny the inevitable. I loved as the relationship between Alex and Eliza bloomed as they overcame obstacles such as the class division and wealth divide in society, but also the relationship between the sisters as it grew stronger. I particularly loved learning about the fashion and delicacies of the era. Peggy's introduction to society debutant ball that first brought Alex and Eliza together was particularly entertaining as I learnt of a world of corsets, wigs and dance cards. I loved reading this as it covered themes from war to marriage, however, I found it resembled Jane Austen's Pride and Prejudice slightly in the characters meeting and turbulent relationship. It is a classic story of two people who have a particular distaste for each other slowly falling in love. I would recommend this book, I found it both moving and exciting. I would give it 4 stars out of 5 stars. The book is based around the American Revolution featuring one of the founding fathers falling in love with a somewhat naieve rich girl. Frankly I didn't enjoy it, it lacked depth, and character and parts of it were historically inaccurate. The book is called Alex and Eliza but it felt like they were barely mentioned on the pages, it seemed there was so much explanation of the lives of the ones around them that their love story wasn't portrayed very well. As much as I kept going I truly felt I could see a climax coming but there was none, at least nothing major. However I think that the book did give Eliza more of a voice as it kept rotating between each protagonist's perspectives but she still seemed fairly helpless. I felt like the historic element was being bent to fit the story in all the wrong ways, just making it even less interesting; when you could change something else to make it more appealing to the reader. The writing itself felt shallow and tedious, the characters seemed to be missing layers and each move they made seemed expected of them, too predictable. So much so that it became boring. Although the book did seem very real for the time it was set, for example the speech and how men acted very demeaning to women. So if you're looking for something real, in its context, then this may be good. I personally found it lacking something, but for others it may be enjoyable because the story does still have potential. I don't know a lot about the history but I quite enjoyed 'Alex and Eliza' by Melissa de la Cruz. The language immersed me in the setting and I felt as if I was there, in 1700s America. Coming into this book as a fan of Hamilton the musical, I had high hopes for it. When I found it was nothing like the musical, I liked it even more. 'Alex and Eliza' tells the story that Hamilton didn't. I loved the relationship between Alexander and Eliza Schuyler. It was very sweet and it was nice to see it develop as Eliza realised her feelings for Alex. Although, I do think it was a little fast paced since their relationship was fully fledged about half way through the book. Also, I felt like I learnt a lot of new facts in reading this. Like I didn't know about people's views about vaccination at the time. Or what being a soldier at the time was like. I've never been a great lover of historical fiction but after reading Alex and Eliza I think I'll start reading more of the genre.Â I'd definitely recommend this book to anyone who loves romance and fans of historical fiction. I really enjoyed this book it had drama and was very funny. My favourite character was Eliza because she as a girl was supposed to look pretty and was not supposed to have her own opinion but she was headstrong and did not want to dress up for parties which I think was very inspiring to me because it told me to be my own person not what someone wants me to be. The history in the book was also really fascinating because it told me what it was like as a girl in that time period and what women were expected to be like. The book made me really want to find out more about that time period and I really want to find read more of her books I think they will be gripping just like this one. Alex and Eliza was a rather interesting book personally I enjoyed it. The plot was interesting and relatively fast but did seem to switch between characters often retelling previous events just from a different perspective. The book itself seemed relatively realistic bit it seemed to focus on more on romance rather than the history aspect of things however the romance in the foreground links the reader want to research the history occurring in the background. There's room for improvement in the history side but the actual way the story and the characters are written is quite enjoyable. These moments are what breathe a bit of life into the otherwise fairly stagnant storyline, and they are bolstered by the use of the lovers' alternating perspectives. Readers see Eliza through Hamilton's eyes and Hamilton through Eliza's To be honest that was also my opinion, I liked it, the characters were compelling and I would like to finish reading the book but I wasn't desperate to read it in one sitting which is always my benchmark for my favourite books. Perhaps only having four chapters and already knowing the main plot was a factor, so I'm still looking forward to reading the rest of the book. I am an avid Hamilton fan who has researched the history behind the Hamilton story intensively. New York's respectable families were few in number, and word travelled quickly. It would be only a matter of time before people found out just how much the Schulers had lost at Saratoga, at which point the girls would become damaged goods. It was imperative, then, both to their futures and the family's that they married well. Well Eliza was a strong and brave Character. Somehow I was interested in Eliza, I like the way she was impressed by the solider around her the way she cared for her country. The book is based on the love story between Alexander Hamilton and Elizabeth Schuyler during the American revolution. My favourite musical, Hamilton, was inspired by it. It begins with an introduction to the Schuyler sisters - Angelica, Eliza and Peggy. Angelica was the oldest, and the wittiest, Peggy was the youngest, and the prettiest, and Eliza was both pretty and intelligent. Their father is a General, and they are struggling for money. Mrs Schuyler decides to throw a ball because all three of her eldest daughters were at marrying age, and she wanted them married before people found out about how much the family had lost at Saratoga. She bought the sisters beautiful ball gowns to wear (even though she didn't really have the money to) but Eliza, being the patriot she was, refused to wear hers because of all the starving soldiers out at war. The ball begins, and Eliza is intrigued by red-haired Colonel Hamilton. When they meet, Eliza finds him irritating, but secretly quite likes him. Alex gives her his handkerchief, and when he gets it back it contains a note saying 'Wait for me. The hayloft. After the ball'. He waited for her in the hayloft, but she never came. The story then fast forwards to more than two years later, and Eliza is travelling with her chaperone, Mrs Jantzen. When their carriage loses a wheel, they are left on a deserted road, not sure what to do. Conveniently, a soldier is riding along the road, and offers to take Eliza to her destination. The carriage driver and Mrs Jantzen road on the driver's horse, and Eliza agrees to travel with the soldier. The soldier reveals his face - he was Cornel Hamilton! Eliza was surprised, and very uptight at first, insisting on holding the reins of the horse. But, when the cold starts to get to her, she ends up allowing Alexander to take the reins, and falls asleep in his arms. Eliza wakes up at her Aunt Gertrude's house and is sent to bed with warm sheets. She gets examined by a doctor the next day, who tells her to stay in bed. She ends up staying on the sofa so that she can still talk to her Aunt. Alexander visits to check if she is alright, but she said she did not want to see him yet. But, inside, she secretly wanted to see him. I would rate this book (bearing in mind I have not quite reached the conclusion) 4 stars. This is because there could be some illustrations to improve it, and maybe a little bit more background on the Schuyler family. I like how the author has added the date and location at the start of every chapter, so you know when and where each chapter is set. All in all, I have enjoyed what I have read of this book. This book is the love story of Alexander Hamilton and Eliza Schuyler. It is set in 1777- 1780 and is mainly in Albany, New York and Morristown, New Jersey. The history in this book is very correct, at the beginning of each chapter it says the month each event happened and where about which are true. It also includes lots of events that actually happened in Eliza and Alex's lives and all the place where they happened are realistic. The book did make me want to find out more about the history so I researched it, I would also like to read other books by this author. This book is really good, I would rate it 4 stars and I would highly recommend it for anyone to read.